Established in Scottsdale in 2007, Crust Catering has established itself in three other locations in Arizona, Chandler being one of them. Started by the Merendino family, this catering service provider, and restaurant is one of the top rated Italian restaurants in Chandler. Providing clients with high-quality Italian cuisine, Crust Catering has the manpower to cater to large weddings of up to 1,000 people as well as a small party of as few as 40 people. To bolster its status as a premier catering service provider, Crust Catering has a great selection of Italian dishes for clients to choose from. 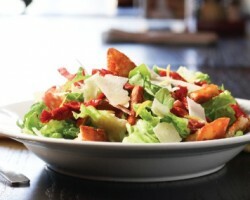 One of the best Italian restaurants in the US, Bupa Di Beppo has developed a national reputation for its exceptional Italian catering services. 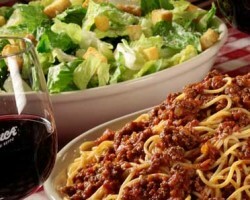 Being a nationally acclaimed restaurant, Buca Di Beppo is one of the best Chandler catering service providers. The restaurant is home to authentic Italian dishes. Thus for a taste of authentic Italian cuisine, residents of Chandler can always rely on the services of this trusted restaurant. The restaurant caters to all kinds of events, from weddings, funerals to birthday parties and sporting events. 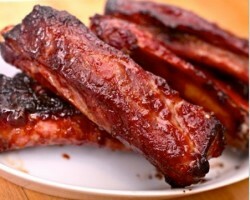 Can't Stop Smokin BBQ is a barbecue restaurant and smokehouse in Chandler that offers bbq catering services. This unique smokehouse offers an impressive selection of freshly smoked meats and poultry. Catering to private parties, corporate events, weddings and other occasions, Can't Stop Smokin serves everything from lunch to dinner. To ensure its services are of the highest quality, all dishes that the restaurant provides are homemade. The foods are packaged per every client’s specifications. As such, the restaurant can cater to different kinds of budget. Ana and Juan Pablo Saiz started The Perfect Saiz Taco to bring the magic of real Mexican food to Chandler. Emphasizing more on quality than on size, The Perfect Saiz Taco is well-known throughout Chandler for its delicious “Taco al pasta.” For sophisticated events, this catering service provider has an assortment of Mexican dishes. This local caterer has developed a knack for providing cheap services without compromising on quality. 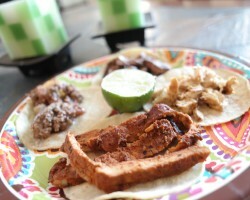 Thus for authentic Mexican catering in Chandler, AZ, The Perfect Saiz Taco is the preferred caterer for many. Founded by Long-time Valley native Vernon Tuckey, Bunrn’t Biscuit Cookout Company is one of the leading wedding catering companies in Chandler. As its name suggests, this company does on-site cooking. This has helped the firm offer its services at affordable prices. 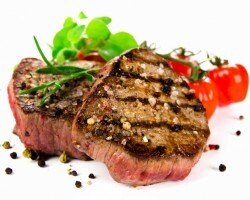 Proudly serving Chandler and its surrounding areas, this cookout company has a unique menu comprised of an assortment of mouth-watering meats. Also, the company delivers an extensive selection of fish meats, from crawfish to swordfish meat. All meals are accompanied by garden salads, biscuits, fruit salads and cowboy seeds.